Hey friends! 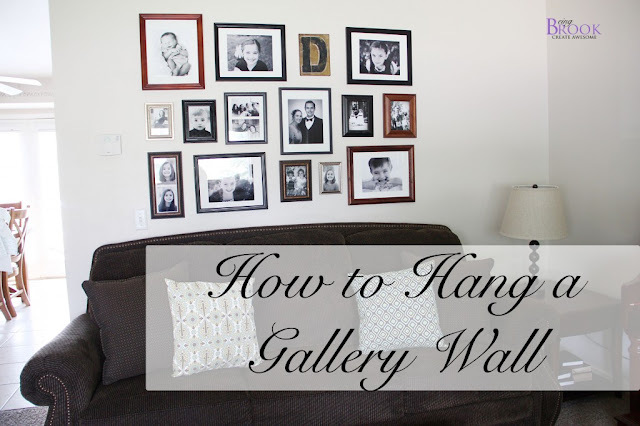 Today I'm going to show you how I hung up my brother's gallery wall. 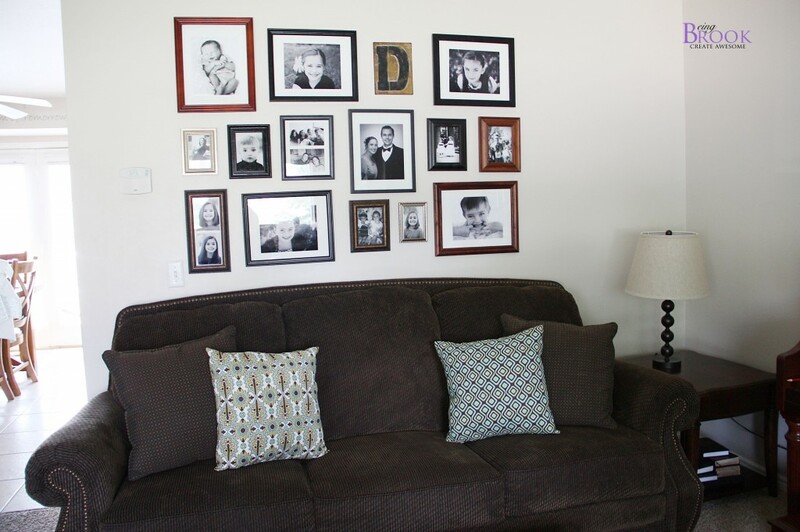 I LOVE family pictures and think they are such a great way to bring life to a room. The first thing I did was shop the house and closets for unused frames. Then I hit up the local thrift store and spent about $15 on a pile of frames of various sizes. 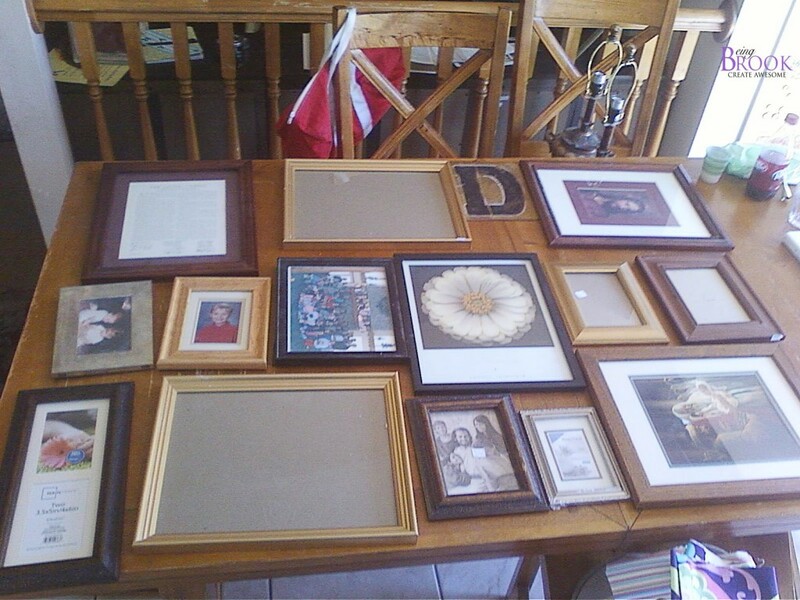 I put the frames on the kitchen table and figured out how I wanted them laid out on the wall. Then spray painted some of the frames black so that we had three different colors of frames. Black, cherry wood and some metallic. Hanging up the gallery wall was pretty simple. The hardest part was choosing my favorite pictures. 1. 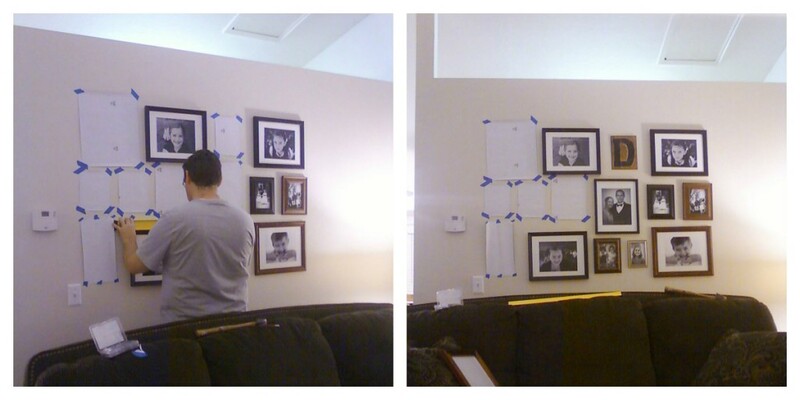 Trace the picture frames onto wrapping paper and mark where the nail holes are on the paper. 2. 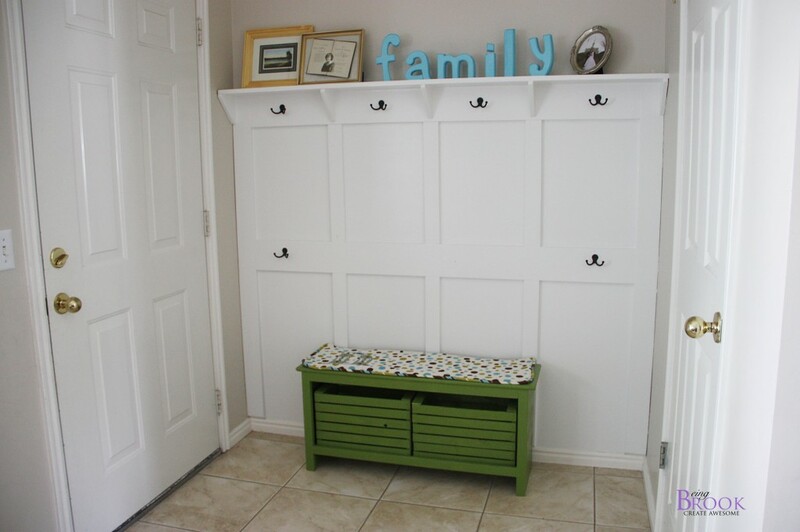 Tape the paper on the wall with painter's tape so you can rearrange the wall and get the spacing just right before putting any nail holes in the wall. 3. 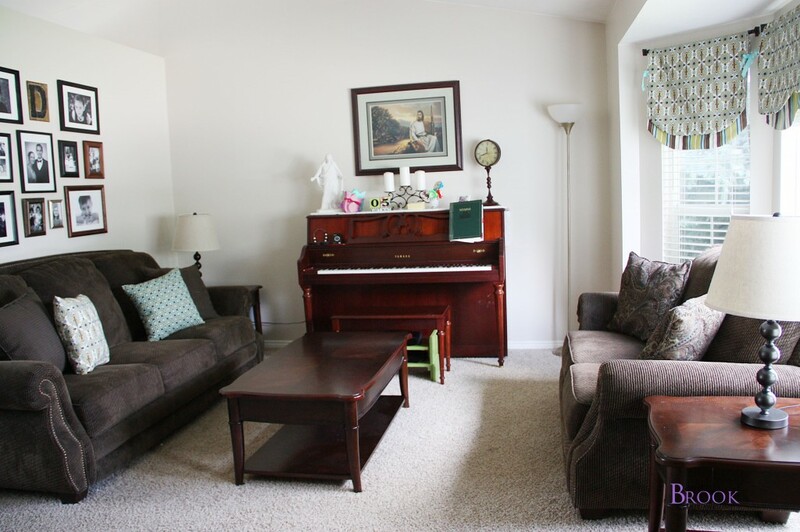 Using a level, hammer and picture nails hang up your frames! Love how it turned out. I usually take family pictures for my siblings when I visit so even the pictures were a DIY project! 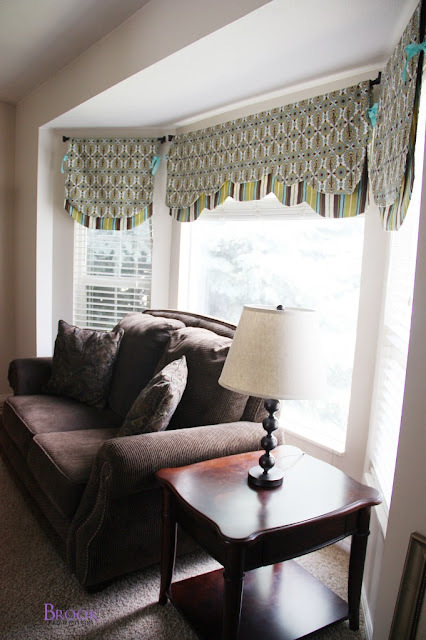 The cute letter D came from Hobby Lobby and my Mom made the couch pillows with some coordinating Premier Prints fabric in Chocolate/Natural. My Mom also made some new curtains for the bay window with the same Premier Prints fabric. The lamps used to be in my bedroom but were too tall for my nightstands so I spray painted the lamps with Rustoleum Oil Rubbed Bronze spray paint. The room looks so nice now! The little bench under the piano got a few coats of the Krylon Eden spray paint just like the simple bench in the entry. The board and batten entryway leads right into the living room so we tried to coordinate the two areas and make them as family and kid friendly as possible. I'm just about done with my brother's house projects! Wednesday I'll show you how I updated the kitchen!